Before I start writing about my new projects, I must first give you a little peep of a beautiful bunch of flowers that my friend Stef gave to me. I will post some more photos another time - they are giving me so much joy! Here is Stef with baby Evie in a top I printed a few years ago. It's funny how you forget the things you make along the way. I went through a stage of stenciling baby shirts.... and stopped when Hugo grew out of the available sizes. This baby is made for nibbling. 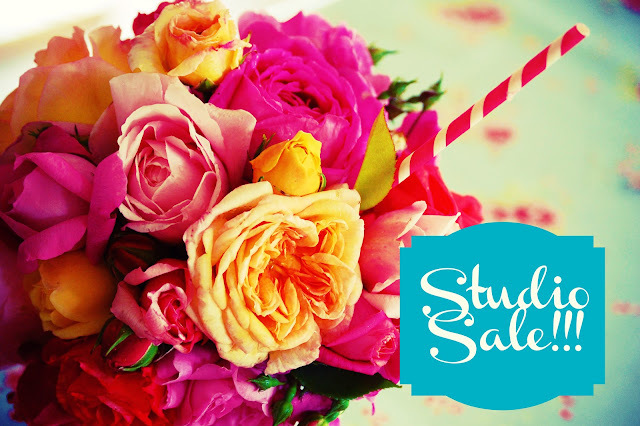 So, as for the next project - at the end of November, I am going to be having an open studio and sale. Unfortunately, this will not be an online sale although by next year I will be looking at doing lots more in cyberspace. If you are in Tauranga or the Bay of Plenty and would like to come along, email me and I will pass on the details of when and where. My other new project at the moment is developing a range of Stanley cards. They won't be ready to go online by Christmas but they will be available next year. I will keep you updated. My first batch of Christmas cards arrived this morning which was very exciting, they are so glossy and card-like.... just like real ones! There is nothing like picking my first bunch of roses for the season. I'm sure that I must do a similar post every year so here it is - Spring of 2012's version. I have lost two pairs of shoes lately to holes. Of course, having been so fond of them I felt quite sad to say good bye. That is until I saw this pair in the front window of a shop. Love at first sight. My favourite way to relax is by visiting the library in town. When I arrive home with a bag literally bursting with books, I feel as though I have been on a shopping spree. And, there are literally shelves and shelves of crafting books. I think I must have been hungry on today's trip as the balance was more in favour of cooking books. Beside my bed - Archie and I are reading 'My Family and Other Animals' which we are utterly adoring. Hugo is fascinated by Heston Blumenthal's creations so that is his to the left. I took this photo about half an hour ago. Hugo and Jonno having story time and spelling together. So cosy!!! And Archie snuggled up with the latest Rick Riordan book, fresh from the library shelves. Happy boy. I found this ball in my studio before - do you think two little boys might have been playing in there? Thank you so much for all of your lovely birthday comments - they turned my birthday into a festival for me long after the day had passed. A whole week has flown by since my last post as everyday has been a flurry of school holidays and birthday stuff.... because it was my birthday on Wednesday. 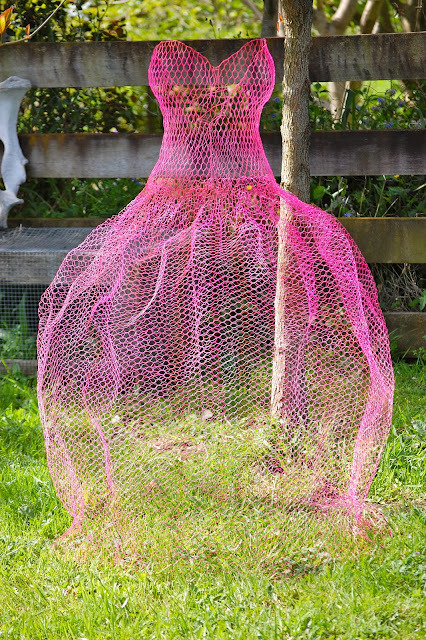 My neighbour - you know the one I mean, made me a chicken wire version of my wedding dress. I will have to post a photos of my wedding one day to show you. Isn't it amazing!!!!! I think it would probably be a bit painful to wear so I may just settle for wrapping it with fairy lights at Christmas. I wish I could wear it though. This is my cake - thanks Nigella, it worked out really well. And I had to show you a photo of this little fellow who we found ambling across our lawn last week. Bertie was very respectful but did feel that a little sniff was necessary. This is what a good cup of tea looks like.... when your next door neighbour comes to visit and you are a long drive away on holiday. And she brings a blanket to crochet. I think this is probably the best way for a table to look, although food suits it nicely too! Yesterday we came home from our holiday for a night. It was so lovely to be at home again, see Jonno, sleep in our own beds and spend some time in the studio. During the last week I have been dreaming of putting the cameos onto a canvas - just to see. I like it. And so this morning I made this cushion - first time I have used the bobble trim - tres satisfying. Archie was quite keen to join in on some photos, funny little thing. Seeing Jonno was the best thing of all though and none of us wanted to say good bye at lunch time. Anyway, back home again soon!